Well, after a long hiatus when we had nothing new to report, we now have three major announcements. These have been communicated to the major model railway magazines in the UK and Australia, and posted by Chris on RM Web, but here they are on our official blog. Total sales of the 7mm scale Hudswell Clarke saddle tank now exceed 1300 units, and Ixion has now sold over 2850 O scale locomotives. Ixion Model Railways Ltd is pleased to announce that we are now sold out of both green and maroon Hudswell Clarke tank locomotives. To satisfy customer demand, we have commissioned a second, limited edition run of Hudswell Clarke locomotives in a new livery of forest green, lined in red and black. An artist’s impression of the livery is included below. These will be available from selected retailers in the UK and Australia, and online from the Ixion website. We hope to have these in stock for Christmas this year. Ixion is pleased to announce that our next new locomotive will be produced for the Australian HO scale (1:87) market. With two of the Ixion directors being NSW modellers, this is a logical move into their home market with a familiar prototype. It will be a New South Wales Government Railways (NSWGR) steam locomotive, never before available in injection-moulded ready-to-run form. Produced in the same factory which has made the acclaimed and award-winning On30 Coffee Pot, and 7mm scale Hudswell Clarke and Fowler locomotives, it will follow Ixion's well-established standards of prototype fidelity and excellence of performance, and will be DCC and sound-ready. The identity of this locomotive will be revealed when the first computer-aided design drawings are available in October this year. Delivery is anticipated for the third quarter of 2015. 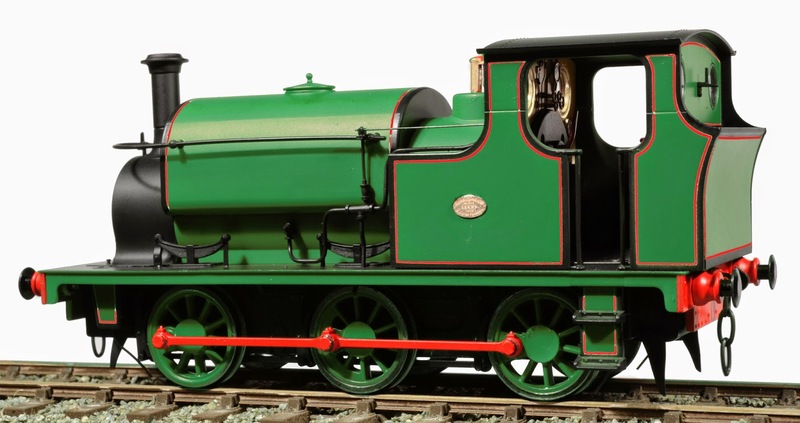 Ixion is also collaborating with another company (a new manufacturer, not an existing one) on the production of a ready-to-run 7mm scale standard gauge steam locomotive suitable for both the UK and Australian markets. More information about this model will be available soon - watch the Ixion website and blog for updates on all locomotives.